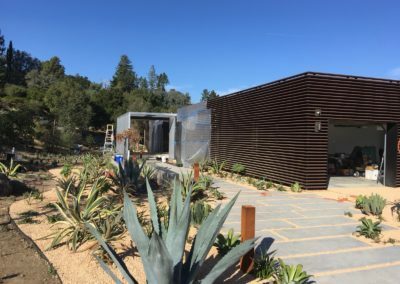 This remodel transformed a 90’s-style ranch house with narrow hallways and dark bedrooms into an open, outward facing home stepped into the slope of its site. 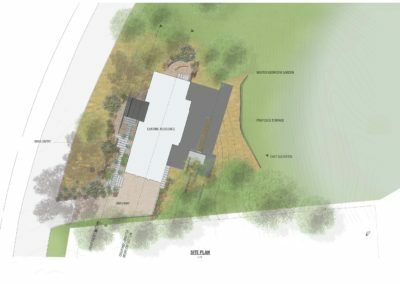 The home faces due west, across the front yard, and onto a quiet road that lifts away from the house. 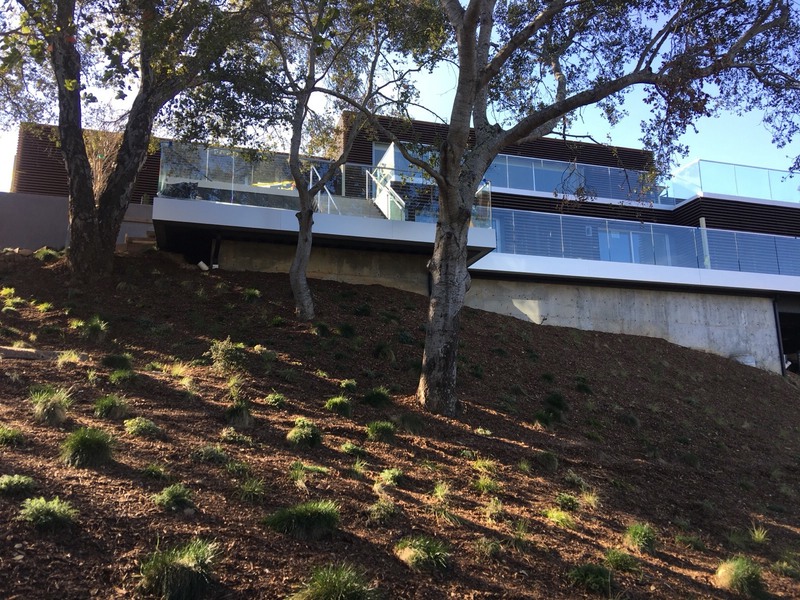 Recognizing that its primary visual access comes from above, the redesign included an uplift of the home’s exterior and front façade. 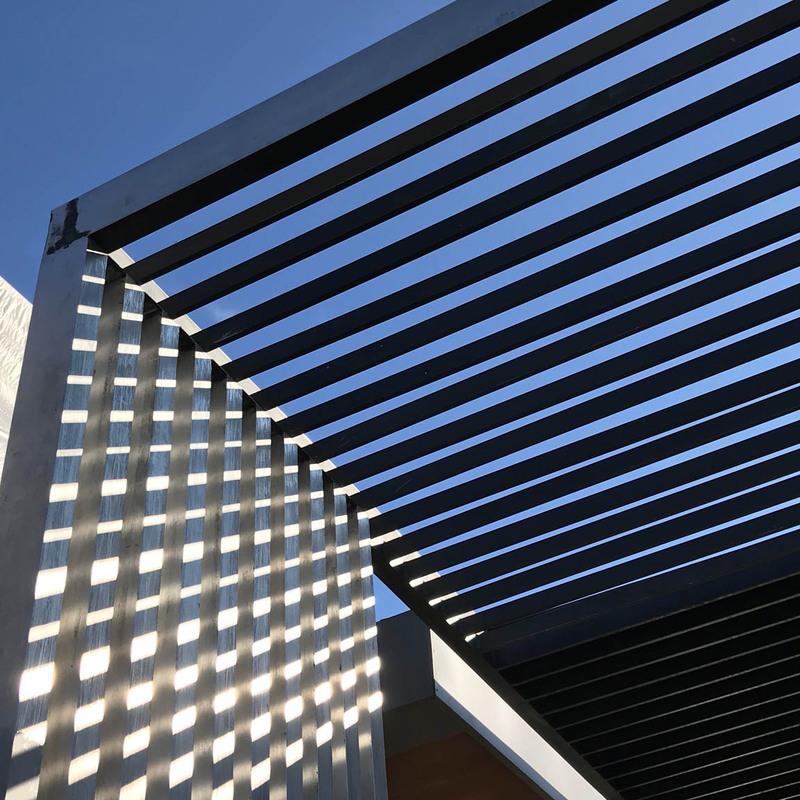 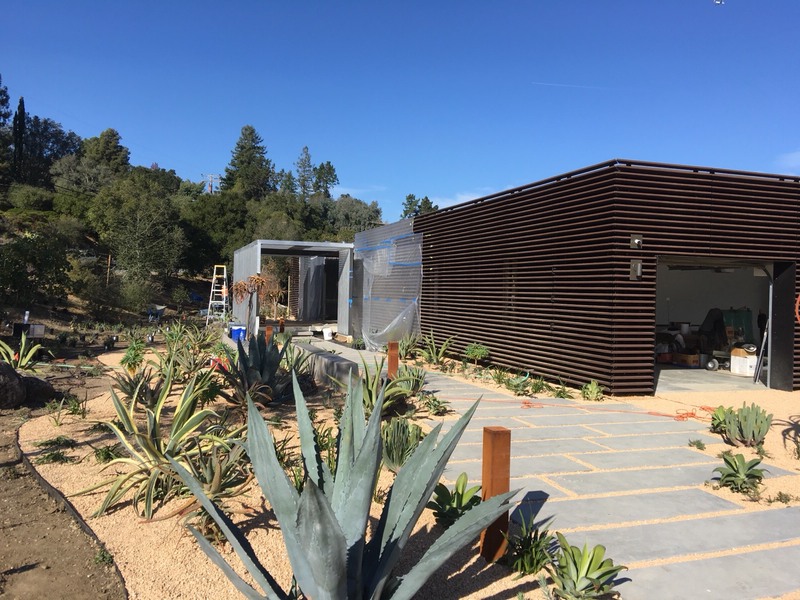 A wooden louver system wraps around the house, filtering light into the home during the day while preserving the home’s privacy. A minimalist garden pavilion cropping out from the front façade creates a layered entryway into the home, and agave plants, cabbage trees, and succulents reminiscent of the client’s native New Zealand dotting the front yard further shade the house from the road. 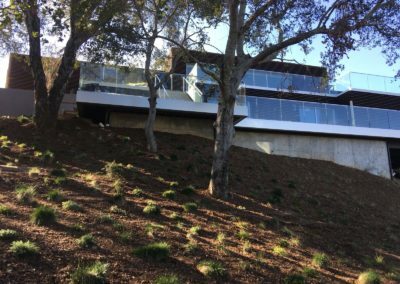 Upon entering the house, one has immediate visual access across its public living areas, through the expansive glass door covering the rear façade, and to the sweeping views to the east beyond. 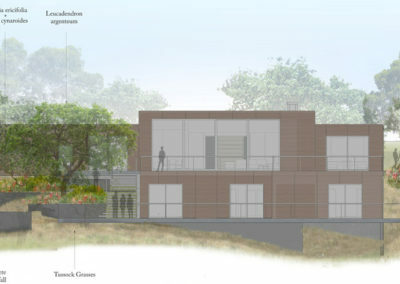 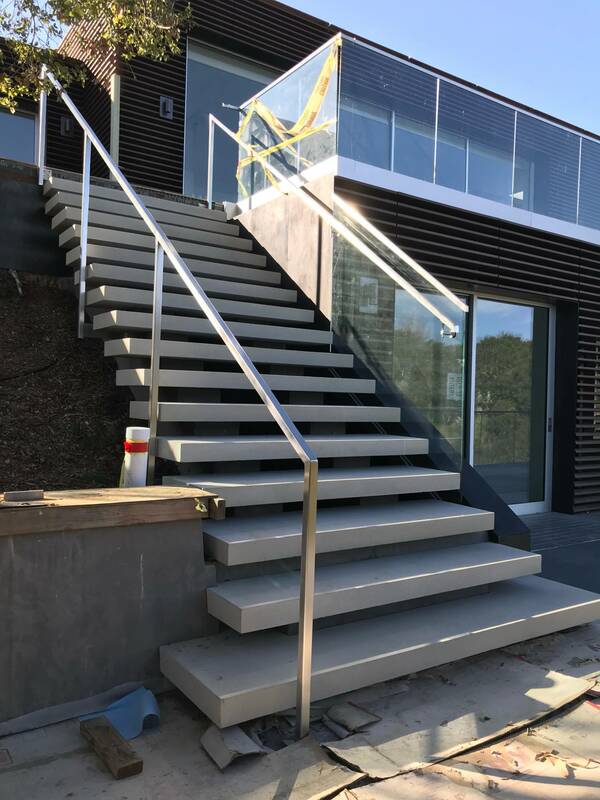 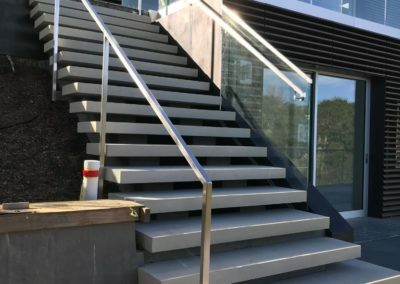 A deck extends the entry level’s trajectory outwards, and a set of stairs leads to the sloped yard below, taking the integration of building and site a step further. 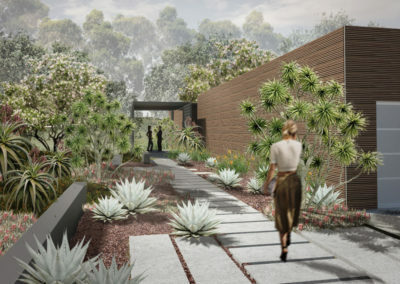 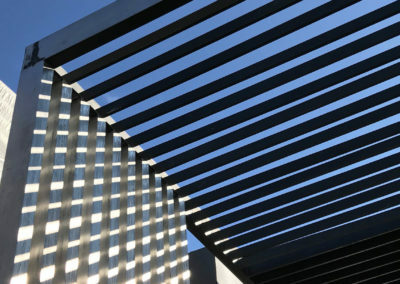 It affords the clients the ability not only to look out across their natural surroundings but also to step into the landscape, engaging both physically and visually with their environment.